The magical day has arrived: Deadpool and succubus queen Shiklah tie the knot! But when Deadpool and his bride honeymoon in Japan, will married life agree with our mouthy merc? Or will he start doing the "take my wife, please" joke all the time? Meanwhile, Agent Preston makes a surprising discovery: Deadpool has a daughter! And there's more to her life than meets the eye! But Deadpool is up to his neck fighting Dracula's forces - can he escape in time to safeguard his own flesh and blood? And where did his daughter even come from? Deadpool's Original Sin is revealed as we learn the very darkest chapter of Deadpool's dark past! Plus: Deadpool and Nick Fury fight Hitler! And Deadpool "teams up" with Madcap (it's gross)! 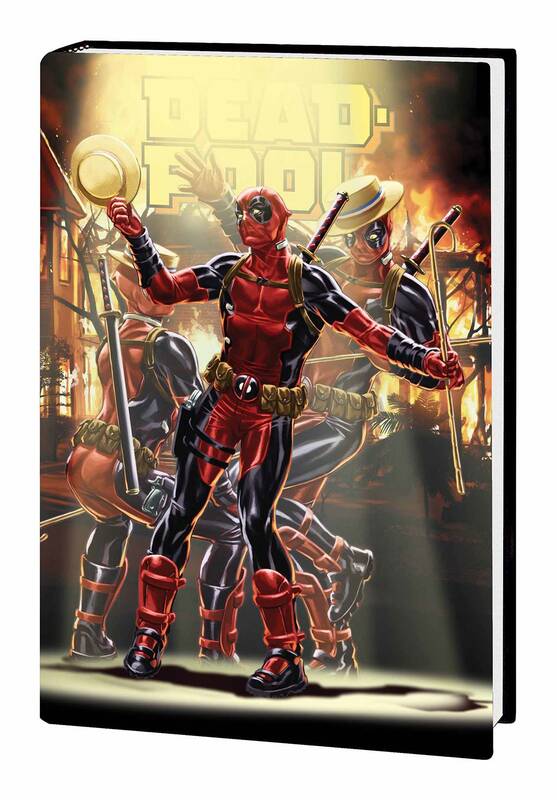 Also featuring stories by every single Deadpool writer ever! Collecting DEADPOOL (2012) #26-34 and ANNUAL #1.